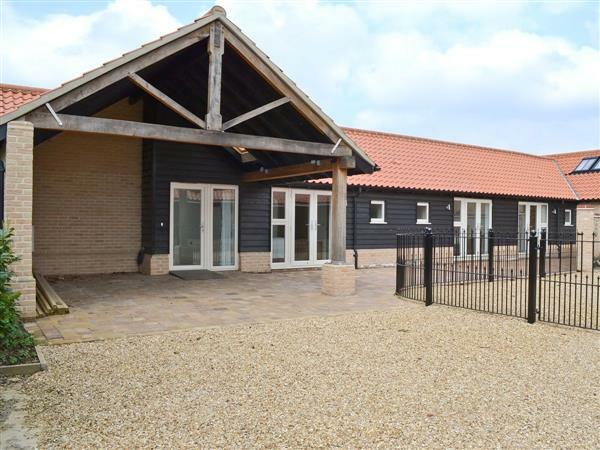 Set in Wicken, one of Cambridgeshire’s prettiest villages, Barrow Barn is a delightful detached bungalow, with its lovely garden and undulating countryside views; a perfect holiday accommodation in which to relax and unwind. A short stroll (¼ mile) takes you to famous Wicken Fen (National Trust), and cyclists will enjoy the lovely route along the river from Ely to Cambridge (cycle hire available nearby). There are a myriad of attractions in the area, including Anglesey Abbey (National Trust), the market town of Bury St Edmunds with its abbey gardens, Newmarket, famous for its races and music nights, Cambridge with its universities or visit the lovely riverside pubs at Ely where you can watch the world go by. A short drive will take you to the North Norfolk Coast, including the resort of Hunstanton which is perfect for family fun. Shop 2 miles, pub and restaurant 500 yards. Barrow Barn is all on the ground floor: Living/dining room with patio doors/kitchen with beams and tiled floor. Utility room. 3 bedrooms: 2 double (6ft zip and link, can be twin on request), both with en-suite shower room and toilet, 1 twin (zip and link, can be 6ft double on request) with en-suite shower room and toilet. Separate toilet. Oil underfloor central heating, electricity, bed linen and towels included. Travel cot. Freeview TV. DVD. Electric cooker. Microwave. Washing machine. Tumble dryer. Dishwasher. Fridge/freezer. Small enclosed garden with sitting-out area and furniture. Parking (2 cars). Welcome pack. No smoking at Barrow Barn. Easy walking access. Holidays at Barrow Barn run from Saturday to Saturday. For a better idea of where Barrow Barn is, you can see Barrow Barn on the map below. Barrow Barn is in Cambridgeshire; should you be on the lookout for a special offer, you can find all the special offers in Cambridgeshire. It's always worth checking to see what is on offer at the moment. Do you want to holiday near Barrow Barn (29738), you can see other cottages within 25 miles of Barrow Barn; have a look to find your perfect holiday location.